Facebook has been taking seriously deserved grief over its mishandling of personal data. They are the most visible ship heading for the tip of the iceberg. The Titanic of personal information misuse is big data and the iceberg is called GDPR. 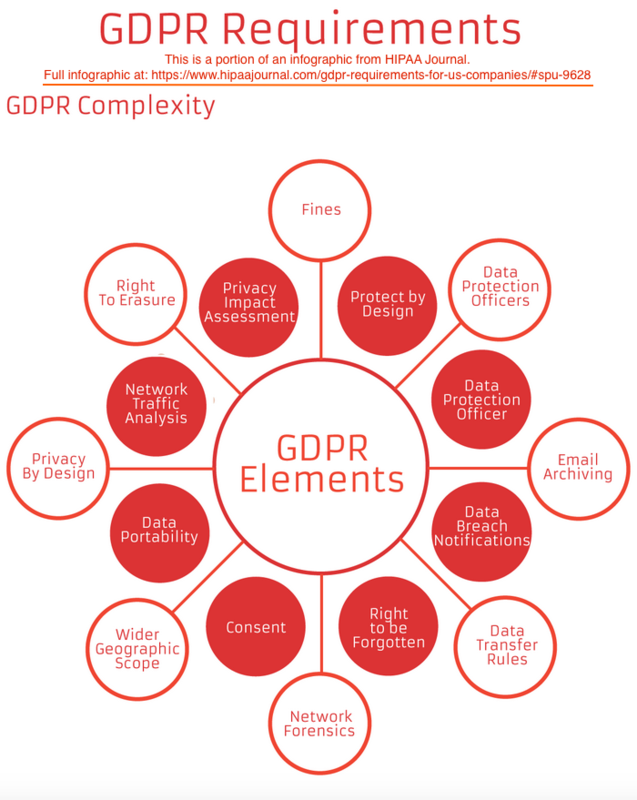 GDPR is the EU’s General Data Protection Regulation which puts big sharp teeth into the protection of personal data and it’s biggest target are the big data, marketing-tech operations that Hoover up every scrap of information in order to sell you on something. See here for more on GDPR: The EU has painted a bright red, 20-million-Euro bulls-eye on big data. But the EU is just the beginning. As I mentioned in this December 2014 post about my recommendation algorithm — Machine Learning + Big Data + Tribes = Happier Consumers & Fewer Regulation Hassles — tighter regulation is inevitable because of the growing abuse situation. GDPR will accelerate personal data regulation in any country whose companies saves any data on any person. In the process, that is going to wreck the current big-data marketing-tech paradigm. Tribes/Clans is the new paradigm that can make recommendations and customer targeting more accurate while remaining legal, and increasing recommendation accuracy, and improving user satisfaction. When I designed the Tribes recommendation algorithm, I designed it so that it could operate without any identifiable personal data. which means it is GDPR-compliant. That design reflects my pwn personal philosophy — now clearly expressed in GDPR — that personal data is the property of the individual, not the companies that compile the data. The EU is going to prosecute the GDPR regulations based on that philosophy. The Tribes implementation of that philosophy has advanced with my invention of the Clans algorithm. Clans is a substantial update which also brings with it even more accurate recommendations.